As PA Rainbow Grand Assembly kicks into full gear, we’re pleased to offer this special edition of the Penn Rainbow, including a partying farewell from Sis. Ashley. Enjoy! Click here to download the issue! 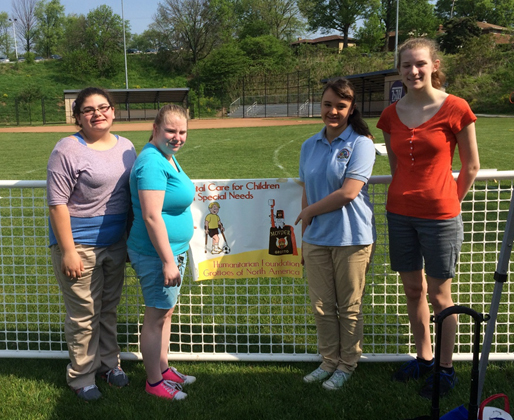 On Saturday May 9, 2015 Rainbow girls Caelyn Mansfield, Ashley Johnston, Autumn Zimmerman, and I attended the Special Olympics Allegheny County Summer Games held at Baldwin High School! The Special Olympics Club is dedicated to “promoting inclusion and awareness of all individuals with all types of disabilities.” More than 400 Special Olympics athletes from more than 17 training sites in Allegheny County met at the high school for track & field events, bocce, golf putting, weightlifting and more. We helped the local group of the Humanitarian Foundation of the Grottos of North America at their booth. They are a nonprofit organization that brings “Special Smiles” to children with special needs by providing them much-needed dental care. The program helps cover the costs of dental treatment for children with cerebral palsy, muscular dystrophy and other related neuromuscular disorders, those with mental retardation, and organ transplant recipients. We passed out bags full of toothbrushes, bottles, informational packets, and other goodies to the athletes while speaking about the importance of dental care. The day was full of music, dancing, and spreading awareness. It was a beautiful day to serve the community. 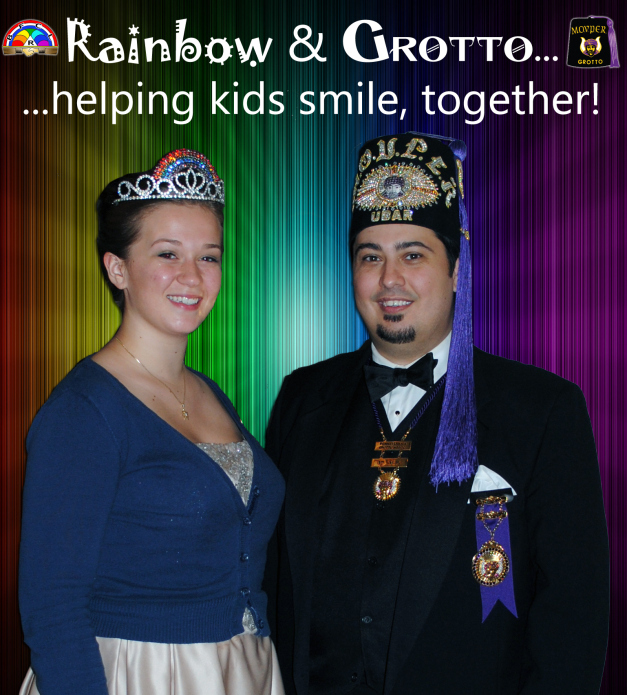 If you are interested and would like to learn more about the Humanitarian Foundation of the Grottos of North America, please go to their website at http://www.hfgrotto.org/ and don’t forget to help children receive smiles with this year’s charity project, Operation Smile! Hello everyone! I have had an amazing year serving Pennsylvania Rainbow as Grand Chaplain. 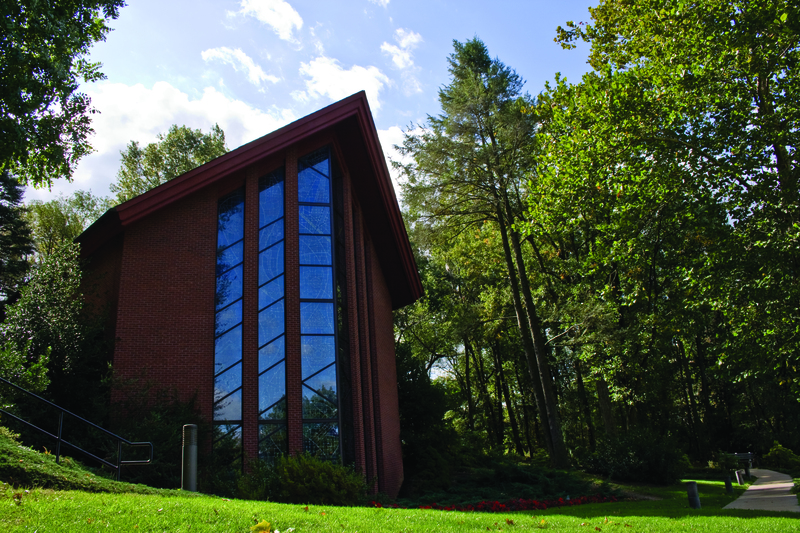 I learned more about our fraternities with every worship service, and I hope that you each learned some new things too. My messages at Patton Campus have explored the connections that Rainbow has to other Masonic bodies. I started with our brothers and sisters in DeMolay and Job’s Daughters. DeMolay has a station of Patriotism, just like our indigo bow station. Job’s Daughters is founded upon the undying faith of the Biblical character Job – his faith led him through life’s trials just as Faith led all of us through our initiations. At the Super Hero Training Weekend, I chose to talk about the White Shrine of Jerusalem. This adult organization tells the Christmas story, focusing on the hope that Jesus brings to God’s people. That hope always awaits us, no matter what good or bad things are going on in our life. There will always be Hope to help us carry on. At the Grand Officer weekend in January, we learned about the Order of Amaranth. The Honored Ladies and Sir Knights of Amaranth have the office of Charity as one of the stations around the altar. Just like our Sister of Charity, this station encourages us to give whatever we can to help others in need. At the Drill Weekend in March, we discussed the virtue of Service through Shriners International. All of the Masonic organizations focus on serving people, and the members of Shrine truly exemplify this with the work that they do to support the Shriners Hospitals for Children. They serve the patients of these hospitals by giving their time to drive the children and their families, by sharing their talents as clowns to cheer up the kids, and by providing donations so that the children can receive the care they need free of charge. All Call Weekend is always the biggest Patton weekend of the year, so I decided to talk about the biggest of our orders, Freemasonry. The Masons are a brotherhood, dedicated to each other and to making the world a better place. They are loyal to their brothers, and to their vows, because they have Fidelity, and they understand the importance of keeping your word so that others can depend on you. For the last Patton weekend of this year, we learned about the Order of the Eastern Star. The five points of the star are like our seven bow stations, with a color representing each important lesson. In Eastern Star, these lessons are told through the stories of distinguished Biblical heroines. The red ray of Electa represents love. Our love must embrace all people, even when others do not make that easy to do. I am extremely grateful that I had the opportunity to explore these values that we share with our Masonic brothers, sisters, and sponsoring bodies. I still have one more connection to share with everyone, so be sure to come to the Grand Assembly Worship Service! Earlier this month, the Grand Lodge of Pennsylvania dedicated a new monument on the grounds of the Masonic Village at Elizabethtown. The edifice, composed of an eternal flame mounted on an obelisk, will stand as a testament to those who have served our country and died bravely for it. Around the base of the monument are pavers and bricks, each inscribed with a name or message from a person or group who contributed to the cost of building the momument. In support of this undertaking, PA Rainbow purchased a paver to honor all of the men and women who have given of their time, and in some cases of their lives, to keep our country free. We hope that each time a Rainbow Girl stops at this monument, that she’ll take the time to thank the veterans of our nation.